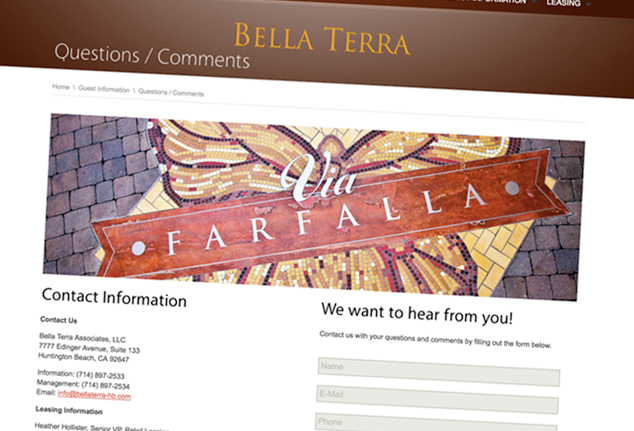 Launched in Spring 2012, bellaterra-hb.com was a redesign built using the Wordpress platform. Using Wordpress enables clients to administer their website in real-time without the need of contacting (and waiting) for a web designer to make changes for them. 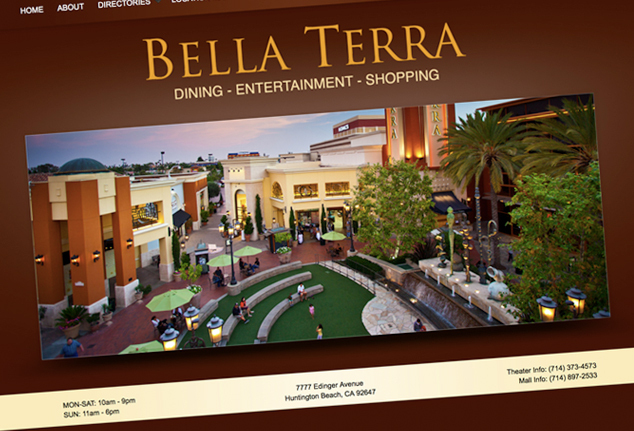 Bella Terra is a shopping center located in Huntington Beach, CA, equipped with a movie theater, restaurants and shopping. 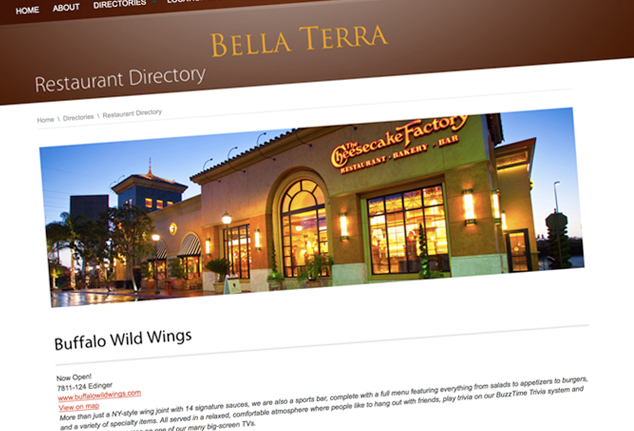 Bella Terra offers something for everyone and every occasion, in a laid-back, coastal-casual style - perfect for both Surf City USA® visitors and locals.